I also opted for some Crank Brothers "Doubleshot" pedals as they offered the flat platform and also ability to clip in to SPD shoes - oh, and they came in Orange! The last change, and not Orange this time, was the tires. Nothing particularly wrong with the WTB tires that came with it but to my mind they are not a patch on the Maxxis Ardent / High Roller pairing that came on the 2016 model (as sported by my brother, Tim) - also, it may have just been me but the WTB and Alexrims pairing was almost impossible to convert to tubeless and believe me I tried many, many times! So I chose the triple compound (3C, 120tpi) versions of the Ardent and High Roller II tires and, when combined with a single layer of gorilla tape inside my Hope wheels and a few ounces of Stan's "No Tubes" they sealed first time - perfect! It's awesome! 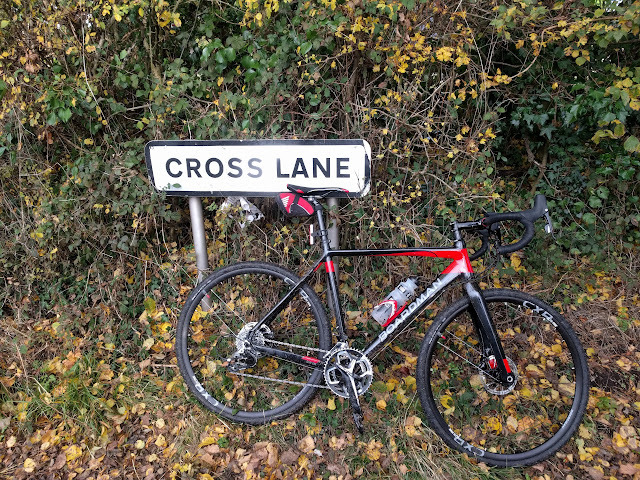 I really, really enjoy riding this bike - flat, hilly, lumpy, technical or aggressive it doesn't matter, and when it gets muddy the bike just keeps on going, it's great. For now I'm going to enjoy the summer singletrack and the smiles and enjoyment that this bike brings.